Leveraging the growing influence of Hispanics in the U.S. workforce has taken on new urgency: by 2050 Hispanics will represent 32 percent of the nation's population and 55 percent of its workers. In this provocative new work, noted authority Louis Nevaer and veteran HR executive Vaso Perimenis Ekstein deliver both the strategies and the hands-on tools needed to tackle what many human resource experts consider one of the greatest challenges facing corporate America today. 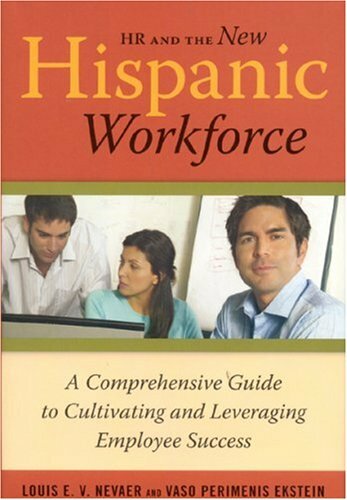 Exploring the cultural nuances that inform the Hispanic experience, HR and the New Hispanic Workforce details what it takes to incorporate the values and sensibilities Hispanic employees bring to the workplace that are so often at odds with those of traditional corporate America. Combining their original research with best-practices examples—from Citigroup Foundation's internship program to Procter & Gamble's success creating a Hispanic-friendly workplace—the authors lay out a road map for attracting the best Hispanic candidates, effectively evaluating their performance and cultivating and retaining their talents.